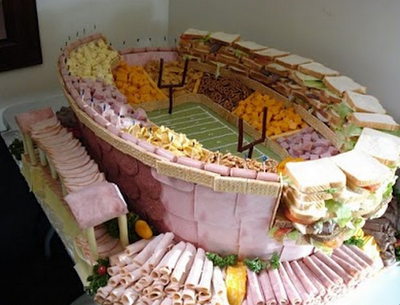 Home › BACON › SUPER SNACK STADIUMS! + NE VS. NY FOOD FIGHT! 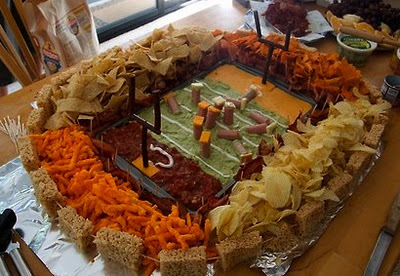 SUPER SNACK STADIUMS! + NE VS. NY FOOD FIGHT! There are recipes for chicken wings – I already posted one for “chicken wing cupcakes”. And there are recipes for burgers, hot dogs, BBQ…you get it. 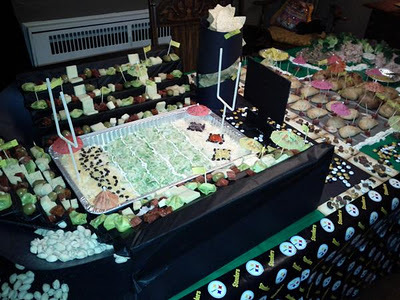 These pictures were all found by searching on AOL…yes, I searched on AOL…and it took me to a site for “pretty Cool Pics”…I would attribute these snack stadiums, but there is none provided beyond that point…but kudos to the men and women who toiled to provide us with Super Snack Stadiums – hats off! 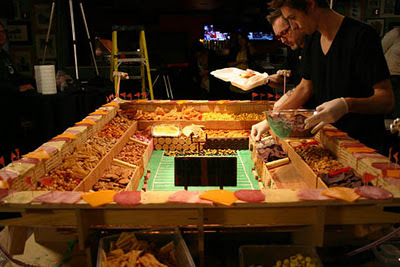 NEW ENGLAND VS. NEW YORK FOOD FIGHT! 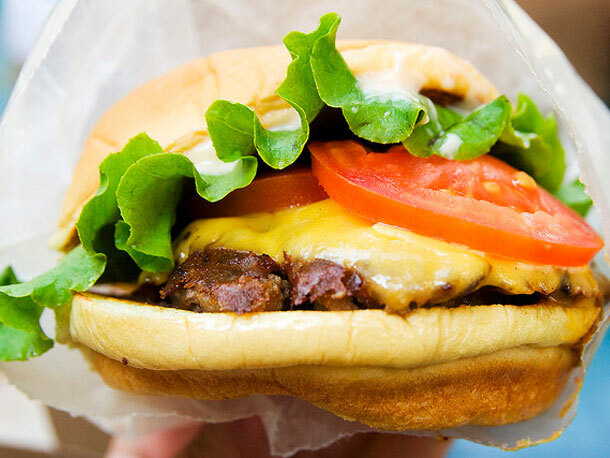 This is the Shake Shack’s burger, representing New York City. 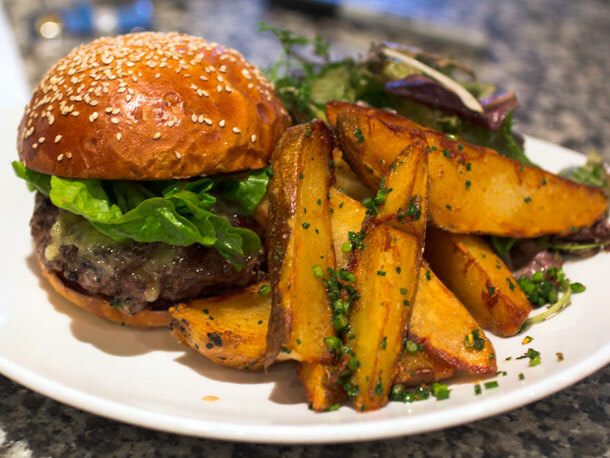 Flat Patties in Harvard Square provide the New England offering. Who wins? Go to Seriouseats.com to see how all 16 food categories match up! 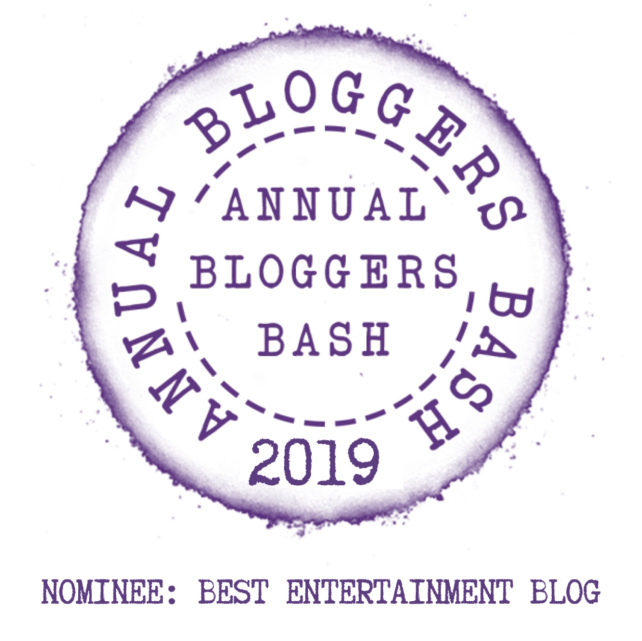 ‹ The Wrath Of Caan! Gamblers! Thiefs! Elf! James Caan’s Greatest Hits! Had to reblog this for Super Bowl Sunday. 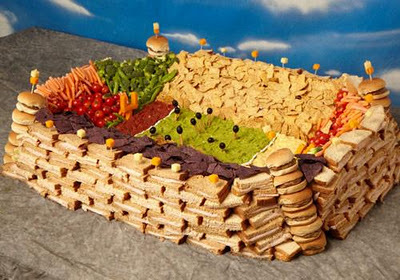 Those food stadiums are freaking awesome!